SAP has released SP1 only for Ariba Network component, rest of the components are still on Cloud Integration release 9. In this blog I will be discussing about AN components, P2P components and ITK components Installation and Technical details integrating with S/4 HANA in a mediated connectivity scenario. Note: In general SAP gave the flexibility to use your S-user ID to login to Ariba portal, to download software you need to have a DSC (Designated Support Contact) ID. New users can register on the Ariba portal. When to use UP & FR versions? Scenarios I have worked on: Below are few scenarios I had worked on and we had used a Mediated connectivity using PO system. Cloud integration release 9.0 repackages the design objects, transports, and mappings to provide flexible installation and upgrade options for Ariba Network adapter for SAP NetWeaver-based integrations. 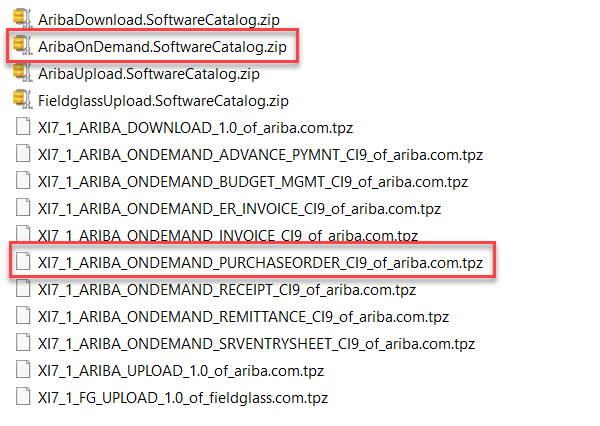 In previous releases, there was only one software component, ARIBA_SUPPLIER_CONN_ADAPTER, CIx of ariba.com, and all design and mapping objects were linked to the same software component. SAP Ariba Network adapter for SAP, referred to as the Ariba Network adapter for SAP NetWeaver, which contains the objects, mappings, and transports for the Ariba Network transactions. 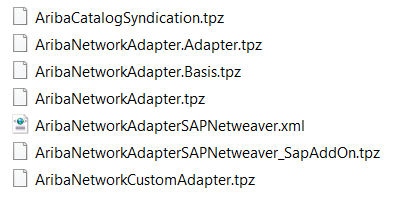 SAP Ariba Network adapter for SAP replaces the Ariba Network adapter for SAP NetWeaver, and supports the transactions listed in Ariba Network Adapter transactions. 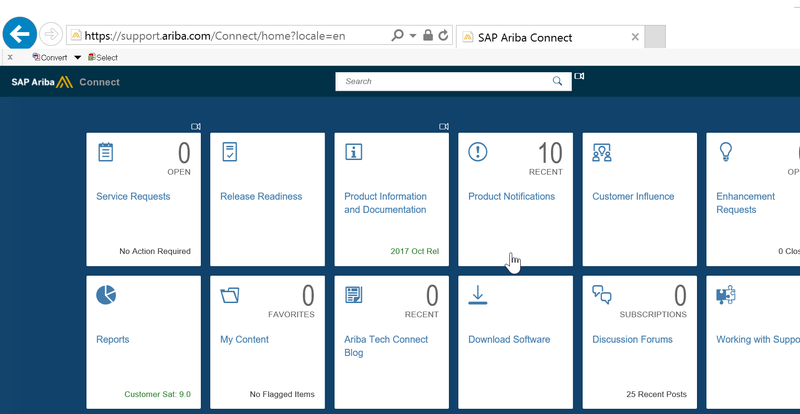 You can download the SAP Ariba Network adapter for SAP package from the Software Download page on Ariba Connect. SAP Ariba Strategic Souring adapter for SAP, which contains the objects, mappings, and transports for SAP Ariba Contracts, SAP Ariba Sourcing, and SAP Ariba Supplier Information and Performance Management integrations with SAP ERP. 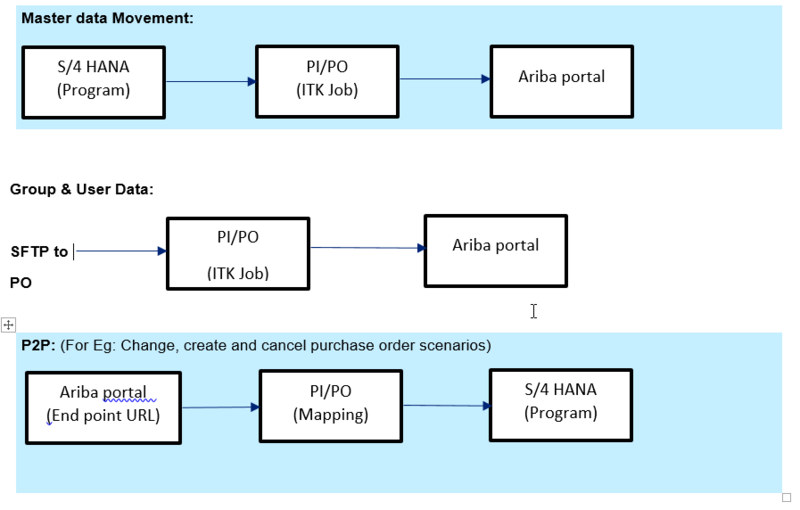 For more information about SAP Ariba Strategic Souring adapter for SAP, see the Installation Guide for Sourcing, Contracts, and Supplier Data Integration with SAP ERP. Segregation of design objects and mappings into integration-specific software components simplifies the installation and upgrade process. You can now import only those components that are relevant for your integration. The custom adapter components enable you to preserve the customizations you have implemented and reduces conflicts while upgrading to a new version. ARIBA_BASIS, CIx of ariba.com – Contains objects associated with common basis, It is a mandatory component. ARIBA_ADAPTER, 1.0 of ariba.com – Contains the ASC metadata objects, it is a mandatory component. We had to put the components ARIBA_NETWORK_ADAPTER, CIx of ariba.com and ARIBA_NETWORK_CUSTOM_ADAPTER, CIx of ariba.com, as we are using purchase order related scenarios (though these components support different business functionalities). Update your technical/Business system details and add the latest version included in it. Tip: If you are using the basic cXML functionality in your scenarios then no need to apply the AN transports into S/4 HANA as these functionalities were embedded into S4CORE, this is only applicable to S/4 HANA versions. Initially for AN scenarios we haven’t imported the TR’s but to use Ariba Supply Chain collaboration we had to import the TR’s into S/4 system. Imp Note: Only CI9 SP1 is released for AN, other components are still on CI9, we have to select the latest Hot Fix (HF) for the specific components. In our case, we had used the latest available i.e. CI9 HF20 for PO mappings and CI9 HF21 on SAP transports. For our scenarios (Change, create and cancel purchase orders), we had imported the below .tpz and .zip file into PO system. ->Deploy ITK sca file using SUM or Telnet. ->Update the ITK directories (extracting from aribaintegrationtoolkit.jar) – you need to extract the directories from the jar file and update in ITK folder, which will update the required classes and binary files. Import the required transports as per your Business functionality in the given order as mentioned in the Readme file. If it is a non-S/4 HANA system, you need to deploy the required Ariba add-ons and Transports as per SAP’s recommendation.